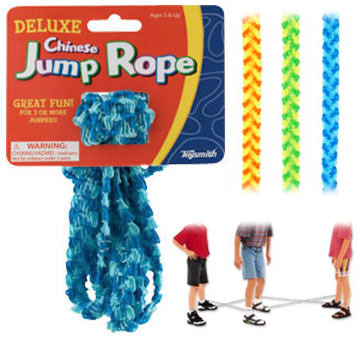 This 72" rope is great indoor and outdoor fun. Active play has never been so much fun! This 72" rope is great for indoor or outdoor play. This jump rope includes instructions. Assorted colors. Note: If you would like a specific color, please select your color choice when checking out. While we cannot guarantee any color, we will do our best to send out the color you request based on our stock levels. Jump and burn some calories with this fitness trampoline by the original toy company for kids.